I recently had the pleasure of testing out a strain of Bali that is very new to me. It is a rare Gold Vein Bali and it is easily one of the greatest Kratom experiences of my life. 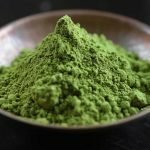 It can be purchased at Health Kratom for a reasonable price and is well worth it. Here was my experience. I mixed about 5 grams of it in to a glass of orange juice and drank it down. About 20 minutes later a relaxing warmness washed over my body and I no longer felt any pain and was totally relaxed. As time went on my mood became very happy and I was feeling quite social, I also continued to feel euphoric and was totally warm and pain free. It was as if someone had taken everything uncomfortable and flushed it out of my body, truly and incredible feeling. After about 4 hours it began to wear off and I felt quite sedated and sleepy after such an intense experience. I sunk in to my couch in pure bliss as I drifted off to sleep. I would 100% buy kratom again from this strain. I asked customer support over at Health Kratom what a Gold Vein was and apparently it is a very mature Kratom tree and its age gives it its amazing effects. Wow! Where do you get yours? I may have to switch. Cool dude, thank you. I will order from them next time. Thank you, I’ll check them out definitely.